This DEC map shows the route of a proposed snowmobile trail in the Blue Ridge Wilderness. Environmental groups are raising concerns about the state’s plan to build a snowmobile trail parallel to Route 28 in the Blue Ridge Wilderness Area. 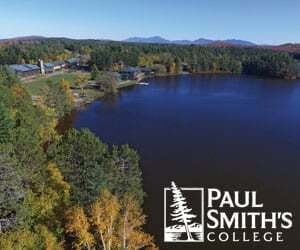 The state Department of Environmental Conservation says the trail is needed to give snowmobilers a way to travel between communities without crossing Raquette Lake. 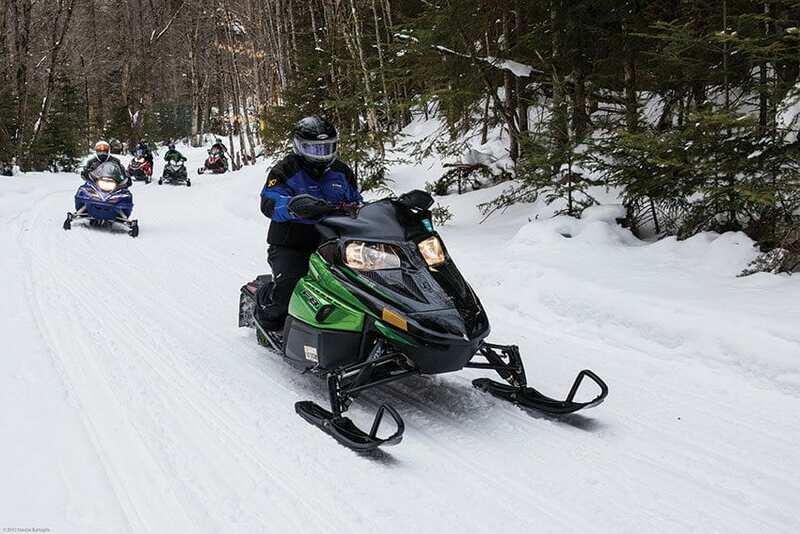 Generally, snowmobile trails are not allowed in wilderness areas, but the Adirondack Park State Land Master Plan makes an exception–“in limited instances”–for trails located within 500 feet of a highway. 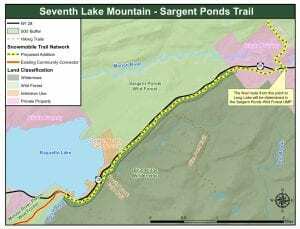 The proposed trail would cross South Inlet near Raquette Lake and run four miles through the Blue Ridge Wilderness, to the south of Route 28. 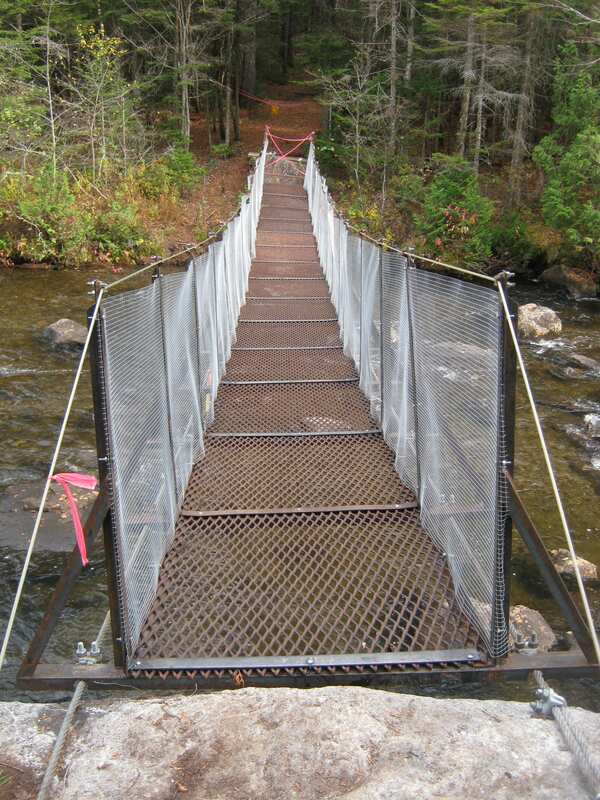 It then would enter private property, cross Route 28, cross the Marion River on an existing privately owned bridge, and soon after enter the Sargent Ponds Wild Forest. If the trail were built on the north side of Route 28, it would avoid the wilderness area altogether. DEC, however, says that route is infeasible because it would entail “extensive alterations to wetlands” and because the area is prone to flooding. Nevertheless, David Gibson of Adirondack Wild and Willie Janeway of the Adirondack Council are not willing to take DEC’s conclusion at face value. 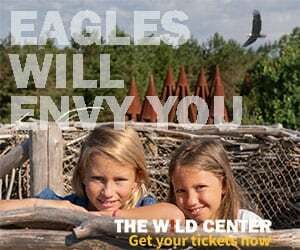 “They’ve really got to prove to everybody that they’ve exhausted the non-Wilderness alternatives,” said Janeway, the Council’s executive director. Likewise, Gibson told the Explorer that running the trail through the wilderness area may or may be permissible. “That remains to be seen. 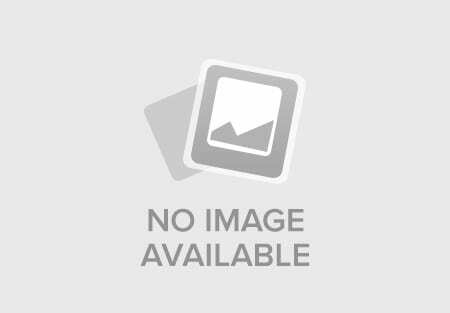 The alternatives have not, in our view, been thoroughly evaluated,” he said. The proposed trail would be classified as a community-connector trail, meaning it would be graded and wider than other snowmobile trails in the Forest Preserve. Bauer contends such trails violate the state constitution and State Land Master Plan. “It will be hard to stop because building a major new road-like snowmobile trail in a designated Wilderness Area will be the crowning achievement of state leaders who are working to motorize the Forest Preserve,” Bauer wrote in an email. DEC will hold a hearing on the snowmobile trail in Raquette Lake on Wednesday, Nov. 28, and will accept comments through December 7. Click on the Explorer’s earlier article for details. The state Department of Transportation plans to replace the bridge over South Inlet by 2021. Preliminary plans call for moving it a bit north to reduce a curve in the road. As part of that project, DOT intends to build a separate pathway for snowmobile riders and pedestrians. The department expects to hold an informational meeting on the project next spring.